My dad, brother, and I just hauled this home. Not our style of bike at all, but for $250 we couldn’t pass it up. We’ve already pulled the fringes and panniers off. 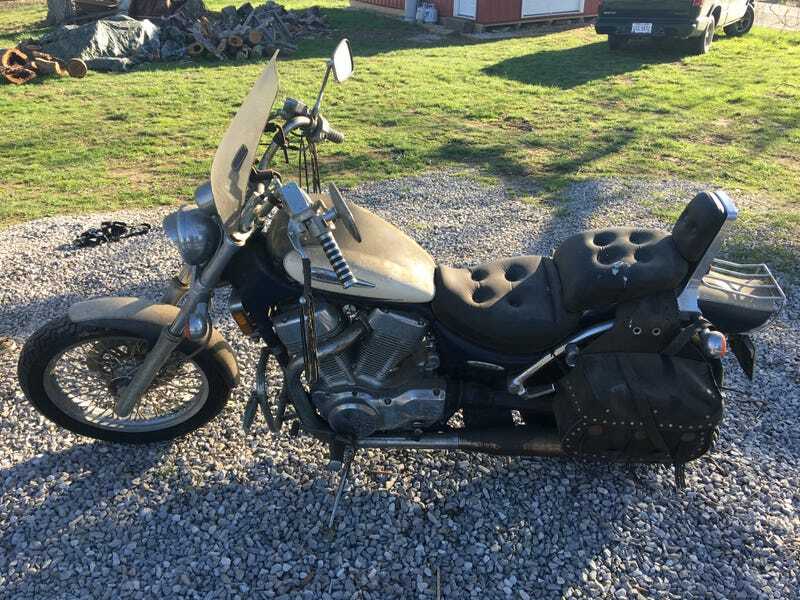 Once we get it cleaned up, get the old gas out it (its been sitting since 2014), put new mufflers , and new handlebars on it, it should sell for decent money. Might not even look bad for a cruiser. Btw it’s a 1997 Suzuki VS1400 Intruder.